i was thinking the other day: when did we last time see mr. smith wearing something light colored? not quite recently i assume. perhaps it's not because of some same old worn-out old gothic doom-and-gloom implications and perhaps not even only because black is beautiful (which is true of course and as such a good enough reason). robert smith of the cure always knew it: one is always on the safe side when dressed in black. above all people with sensitive skin should rather wear dark clothes in the summer. to dress in light colors are more pleasant in high temperatures but white blouses, skirts and trousers offer comparatively little protection from the sun. a thin white cotton t-shirt usually offers a protection factor from five to ten. for lightskinned this means the risk of getting sunburns within half an hour spent in the sun. Ha! I'm going to use this on people who keep asking me why all my clothes are black, even in summer. I combine colour clothes with black, e.g. a black trouser with a violet t-shirt. 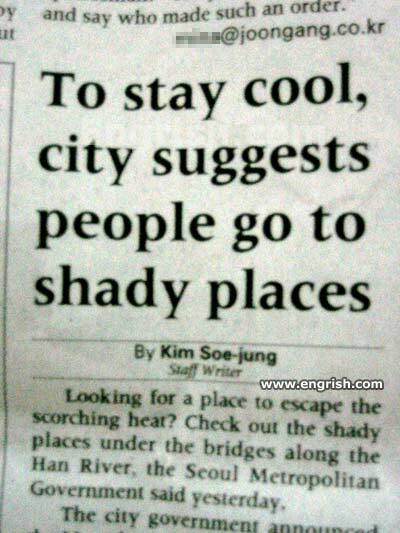 That could be also a reason why arabs sometimes wear black when it's 40 degree. i always wondered about it but never decided to find out before. if this is correct, then it seems to be an air circulation/cooling effect thing rather than something against the sunburns. it works just as long as the cloth is very porous, letting the air easily through it. and that explains why beduins can actually wear woollen cloths(!) in the desert heat without fainting out of heat exposure: wool is very porous and thus one of the best natural materials for this kind of thing. evaporation of perspiration and thus results in better cooling. circulating air may even make things more comfortable. made possible by the escape of air through the porous material. " The last black thing I got myself a month ago is this beautiful black Ellen Tracy swing coat! Just love it! It's a very informativ article. That's interesting that the Beduins and the arabs have special matters, that's why they're wearing black or woollen clothes in the summer when it's hot. This is awesome news. I wear black all the time. So...Yay! i'm a fashion design student ( althout i'm against fashion itself, and its meanings. i'm only into clothes as art and a way of expression: fantasy-like clothing, show-like, drag queen clothes,underground movements - such as the REAL punks, from 70's, "goths" from 80's - new wavers and also all the 80's way of dressing.) i've studied about the black, and why every season they say back to black. Black is a very basic and simple "color", it goes with all kind of clothes, all kind of forms,all kind of colors, all kind of patterns, all kind of ages, genders, social groups. althout it's simple and basic, black can easily make u much more elegant, also it is kind of like a shelter..it's very confortable and it kind of gives the sense of "protection".. if u know what i mean. that's why so many people wear black. and also because it is discrete. (in engrish newspappper in korea). I like black color..I have many black color outfits..Looking awesome.